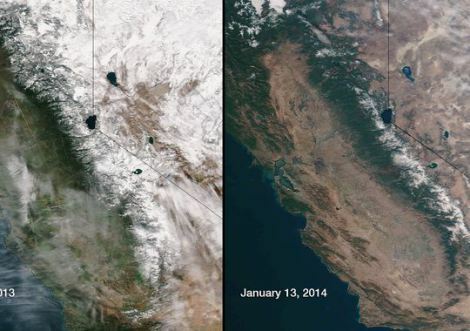 NASA: California Down to One Year Supply of Water. California is in the midst of the worst drought seen in a millennium. 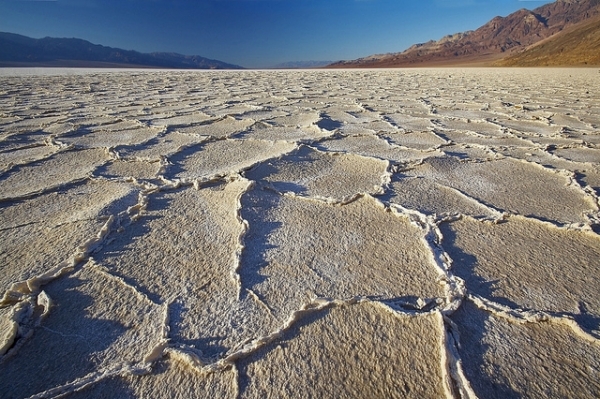 A NASA scientist warns that the state has only one year of water left. 2014 was the hottest year on record for California (and the rest of the world), and this intense heat just exacerbates the ongoing drought by speeding up evaporation and drying out the land surface, which is rapidly depleting its water supply. NASA's Jay Famiglietti believes a more "forward-looking process" is necessary to deal with the problem. "California has no contingency plan for a persistent drought like this one (let alone a 20-plus-year mega-drought), except, apparently, staying in emergency mode and praying for rain," wrote Famiglietti, a senior water cycle scientist at NASA's Jet Propulsion Laboratory (JPL). Four years of drought and record-setting high temperatures have combined to drop California's reservoirs to critically low levels. As our winter season draws to a close, it is clear that the little rain and snowfall California has received has done nothing to alleviate epic drought conditions. January was the driest in California since record-keeping began in 1895. Groundwater and snowpack levels are at all-time lows. Data from NASA satellites show that the total amount of water stored in the Sacramento and San Joaquin river basins was 34 million acre-feet below normal in 2014. California's water reserves have been dropping more than 12 million acre-feet of total water yearly since 2011. Roughly two-thirds of these losses are due to groundwater pumping for agricultural irrigation in the Central Valley. Farmers have little choice but to pump more groundwater during droughts, especially when their surface water allocations have been slashed 80% to 100%. But these pumping rates are excessive and unsustainable. Wells are running dry. In some areas of the Central Valley, the land is sinking by one foot or more per year. As difficult as it may be to face, the simple fact is that California is running out of water — and the problem started before our current drought. NASA data reveal that total water storage in California has been in steady decline since at least 2002, when satellite-based monitoring began, although groundwater depletion has been going on since the early 20th century. It's not unusual for the state to find itself in a drought, but this latest dry spell is an entirely new class of its own. A whopping 55 percent of the state is experiencing "exceptional drought conditions," which is the most severe classification, according to the US Drought Monitor. It's been said that 11 trillion gallons of water is the solution to a full recovery, but with only one year's worth of water left in storage, and the groundwater supply at an all-time low, it would take a miracle to completely bounce back. Perhaps Famiglietti suggestions hold the answer. "Our state's water management is complex, but the technology and expertise exist to handle this harrowing future. It will require major changes in policy and infrastructure that could take decades to identify and act upon. Today, not tomorrow, is the time to begin."